In his time at Korg, Tatsuya Takahashi brought us the Monotrons, the Volcas, the Minilogue and much more. Now nearly 36 years old and searching for new ways to make synthesis engaging, immediate and affordable, his latest creation is the unique Granular Convolver. 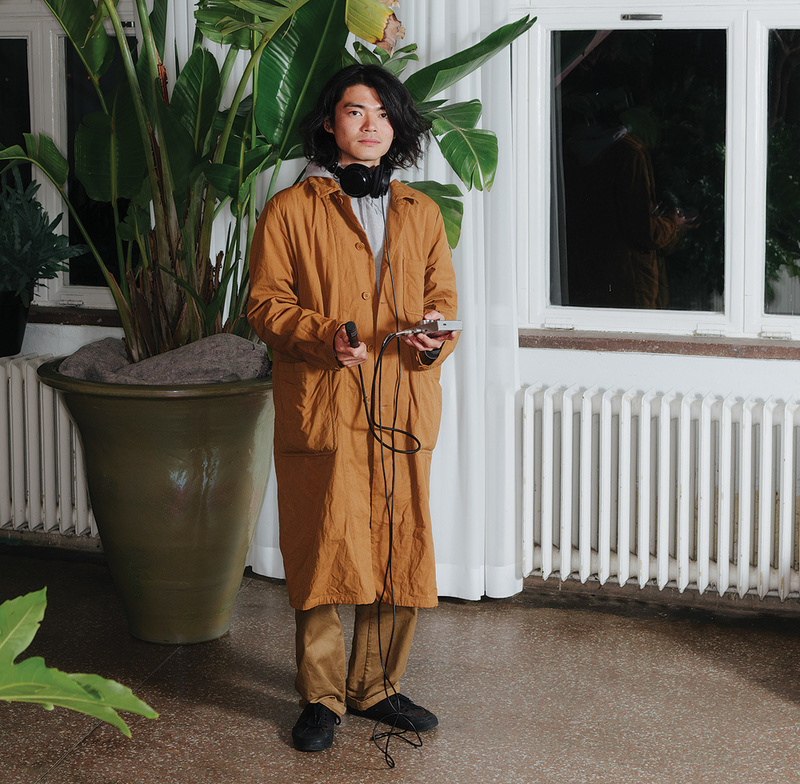 The first instrument that Tatsuya Takahashi can remember building was a simple square-wave oscillator with a potentiometer. "My pivotal moment in realising what circuits are capable of was this experience of electrons going from one place to the next, charging a capacitor and then discharging again really quickly. That, happening a thousand times a second, is creating sound. Rather than a circuit being just a conduit, a pipeline from one place to the next, it's a completely different thing when the circuit itself is the source of the sound. Being able to experience voltages and signals directly was an amazing thing. "One of my favourite quotes is from Cyril Lance from Moog, who said that a circuit is an organisation of the universe. It's a beautiful thing, and like saying: all that engineers are doing is to put all this stuff happening around you together, and organising it in a way that humans can interact with. It resonates with a lot of the ideas I have about how technology can be interpreted in the way of using these instruments creatively." He started soldering at the age of 11, and soon began hacking cheap keyboards. Tatsuya continued his electronic self-education all the way through school. "At university, I did a Masters degree in Electrical and Information Sciences. It was a four-year general engineering course, which meant that before I could choose a specific field to study further, I was doing structural, mechanical, fluid dynamics and all the different disciplines in engineering. That was my formal training in circuits and signal processing. But I was always into analogue circuitry — probably because of this experience of actually hearing voltages, I was more into the analogue side of things than, say, the DSP stuff, which was fascinating, but at that point, more of an academic endeavour for me than a creative." Tatsuya's final project at university was an investigation into the distortion behaviour of transistor differential pairs, and involved building a low-distortion sine-wave oscillator and measuring the distortion for various circuit topologies and biased states. "They're the fundamental blocks, and appear everywhere. For example, a ladder filter schematic has two rows of transistors, with each pair being this long-tail pair. In the case of the ladder filter, it is used to control current so that you can get the filter effect, but you can use it as an amp, an oscillator, a comparator; it has so many uses. "On a conceptual level, I find it interesting how the quantum effects are realised as sounds, like putting a transistor into avalanche mode to create noise. It's a very abstract idea, but that fundamental fact somehow channels creativity. Something as simple as a string on a guitar has these mechanical and physical properties of the tension, the thickness, the body shape, the material and the volume, and when plucking a string, its a very basic effect you're experiencing. I think that's why it is so direct and why people can connect with the experience of playing the guitar. One of my goals is to kind of 'beat the guitar'; be better than the guitar, but with electronics." A year after university, Tatsuya finished his Masters at Cambridge, moved back to London where he grew up, and found himself building instruments. "I didn't have much interest in finding a job, I wasn't even really aware of the necessity, and in London, I was working behind a bar, and just building fun stuff for myself."